Directors Antonio Gracias, James Murdoch and Elon's brother, Kimbal Musk, won by "a wide margin," according to Tesla. CtW Investment Group, an activist firm that represents labor union pension funds, had spearheaded a rebellion seeking to oust the trio from the board on the grounds that they didn't know about the auto industry at a critical time in Tesla's existence. 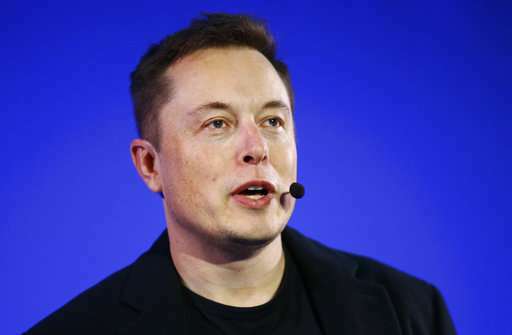 The company said a "supermajority" of shareholders also rejected a proposal to force Musk to step down as Tesla's chairman, a position he has held since 2004—four years before he also assumed the CEO job. Tesla has been burning through so much cash—more than $1 billion during the first three months of this year alone—that investors have been worrying it will have to sell more stock or add to its already hefty debt load to raise enough money to survive. To do that, Tesla will probably have to meet Musk's manufacturing goals for its Model 3, a sedan with a starting price tag of $35,000 that represents the company's attempt to reach a mass market. Tesla still needs to more than double its recent production rate to reach Musk's target of delivering 5,000 Model 3s per week. Musk reiterated previous predictions that that will happen during the second half of this year.